Daniel Contreras, the owner of El Guero Canelo restaurant in Tucson, Arizona, recently learned that his $3.50 Sonoran hot dog took one of the James Beard Foundation's five 2018 America’s Classics awards this year. "First of all, like I told everybody else, I didn't even know who they were... I said, 'Well, I don't know who you are.' We miscommunicated because of my English, or I didn't understand exactly what they wanted from us. This is incredible what we have been honored." 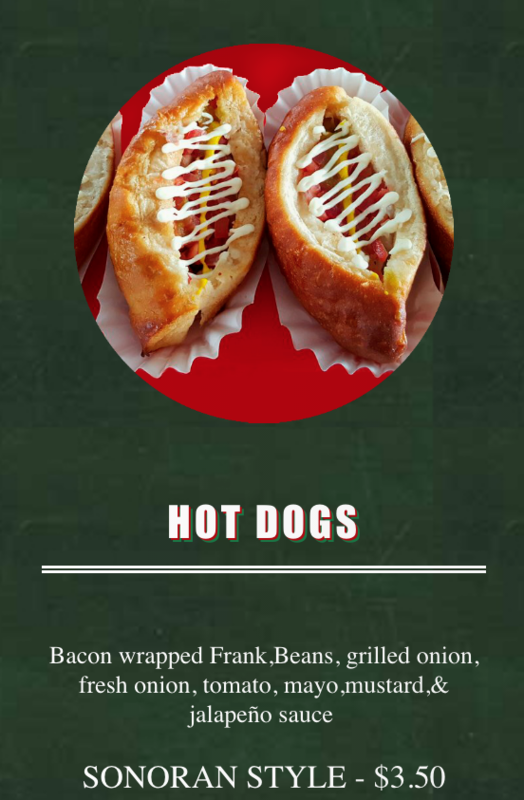 The Sonoran hot dog evinces the flow of culinary and cultural influences from the U.S. to Mexico and back. 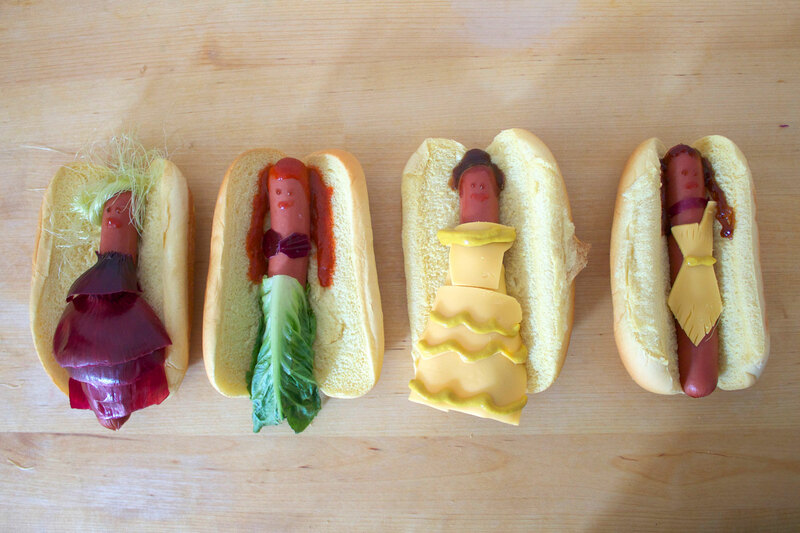 Decades ago, elaborately dressed hot dogs began to appear as novelty imports on the streets of Hermosillo, the Sonoran capital. Today, Tucson is the American epicenter, and Daniel Contreras is the leading hotdoguero. A Sonoran native, Contreras was 33 in 1993 when he opened El Guero Canelo. The original stand is now a destination restaurant, outfitted with picnic tables and serviced by a walk-up order window. Fans converge for bacon-wrapped franks, stuffed into stubby bollilos, smothered with beans, onions, mustard, jalapeño sauce, and a squiggle of mayonnaise. Contreras operates three branches in Tucson, one in Phoenix, and a bakery to supply the split-top buns. Here are two great tastes that taste great together: Fast food and furniture. European design firm Studio Job teamed up with Italian home goods and furniture house Seletti to create furniture fashioned after fast food. at maison et objet 2017 in paris, seletti and studio job are bringing fast food to the fair. 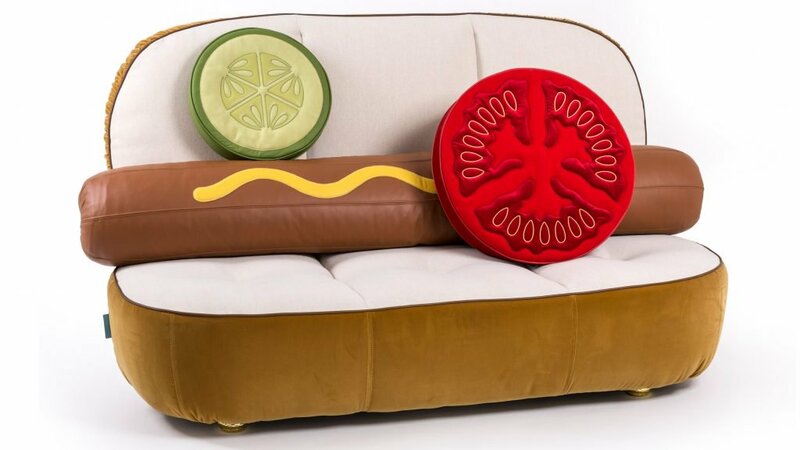 a hot dog and hamburger — archetypal images of american pop-culture — are transformed into actual furnishings, giving rise to the ‘UN_LIMITED EDITIONS’ collection. the debut of the series marks the italian brand’s introduction to the world of upholstered furniture, amalgamating studio job’s irreverent attitude and penchant for playfulness, with seletti’s accessible affordability. Yes, I would like fries (lamp? pillow? rug?) with that. We've seen Disney princesses reinterpreted as men, as minions, and even as velociprators, but this—this is something different altogether.